At Little Teeth Big Smiles, we offer sedation dentistry for young patients who may have severe disabilities, children with extensive treatment plans, or children who suffer from anxiety. Sedation dentistry helps some children receive dental treatment who may otherwise not have received it. There are different options for sedation dentistry that can be used to help children relax and allow the dentist to restore their mouth to a healthy state. After an initial examination, the pediatric dentist will discuss the different options available to your child. Medically speaking, general anesthesia is an induced state of unconsciousness. In practical terms, the patient is asleep and does not respond to touch or sound. It is most often recommended for children with extensive treatment needs and/or an inability to communicate and cooperate. Sometimes it may also be the best way to provide treatment for children with special medical/developmental needs, or high anxiety. All parents should know that children face the same risks of dental general anesthesia as for any other surgical procedure. Our office utilizes the expertise of Michael S. Higgins, a licensed anesthesiologist who works exclusively with dental sedation. 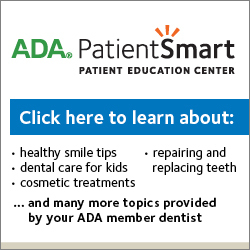 Parents should talk openly with the pediatric dental staff about the benefits and risks of this treatment. All dental treatment fees are handled through Little Teeth Big Smiles and your patient portion must be paid in full prior to scheduling your child’s sedation appointment. 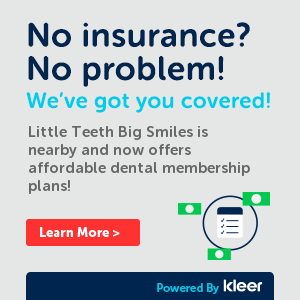 Little Teeth Big Smiles will obtain a pre-estimate from your insurance company. While we do everything on our end to ensure the most accurate estimate is obtained prior to your child’s procedure, please keep in mind that this is just an estimate. To obtain the most accurate information, we recommend you call the insurance company to get the best understanding of the covered benefits of your specific plan. Occasionally treatment may change during the appointment, resulting in additional fees. If this should occur, you will be notified of any such changes.